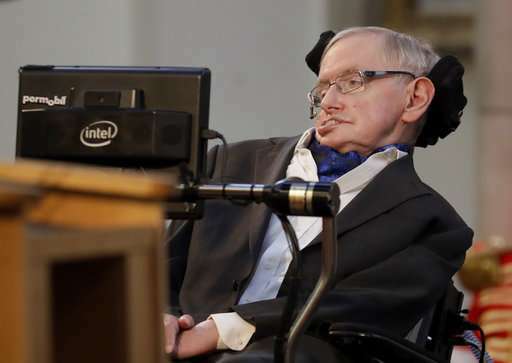 It was a pretty big week for physics as Stephen Hawking, the best-known physicist of his time, died—one of science's biggest celebrities since Albert Einstein, Hawking not only conducted groundbreaking science but brought it to the masses with his bestselling book. Also, a team at Colorado State University reported that laser-heated nanowires produce micro-scale nuclear fusion with record efficiency by irradiating an invisible wire with a high-powered tabletop laser. And two teams, one in the U.S., the other in Japan, found that quantum speed limits are not actually quantum—they have a classical counterpart. And Rod Cross, with the University of Sydney sought to define why a spinning egg stands up in broader terms to make the science behind it more accessible. Also, a team at the University of Illinois at Urbana-Champaign demonstrated the existence of a new form of electronic matter called quadrupole topological insulators, which were only recently predicted. In other news, a team led by Sherri Mason of the State University of New York made headlines around the world with the finding that top bottled water brands are contaminated with plastic particles—likely introduced during the packaging process. And a team at NASA reported that the mystery of purple lights in the sky was solved with help from citizen scientists. Also, a team with the International Centre for Radio Astronomy Research reported on the discovery that galaxies spin like clockwork—all of them rotate once every billion years, regardless of size. And a team at the University of Buffalo announced that the finding that autism's social deficits are reversed by an anti-cancer drug called romidepsin. It has already been approved for use by the FDA in treating cancer patients. And finally, if you are female approaching middle age, and are worried about developing dementia as you grow older, you might want to look into research done by a team led by Helena Hörder, of the University of Gothenburg in Sweden—they found evidence that they claimed showed that physically fit women are nearly 90 percent less likely to develop dementia than are those who are less fit.